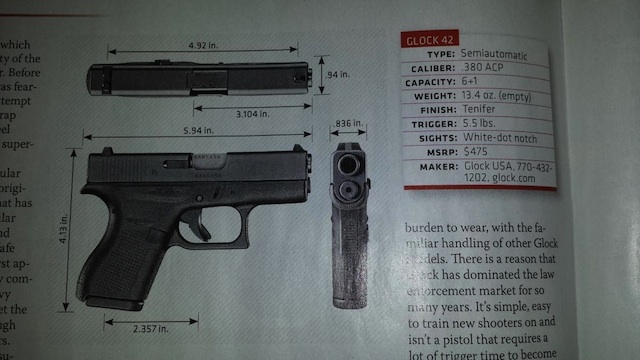 Home / News / Is the Glock 43 Cat Out of the Bag? I filmed this video last night explaining all of the Glock clues and my “photo forensics” work that I did on the clues. 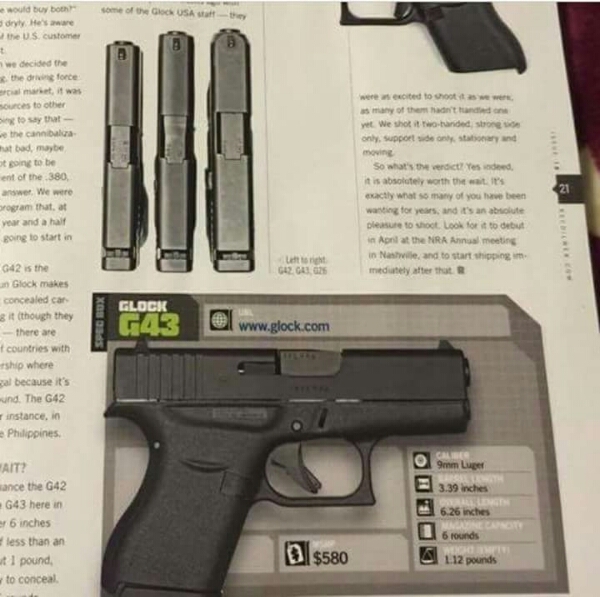 I don’t read a lot (I don’t read any) gun rags, so the graphics on the page don’t look familiar to me, but after giving it a glance, it looks legit to me. Under the page number, you can see the URL for Recoil magazine: Recoilweb.com. Above the page number, it appears to say “Issue 18.” Recoil’s Issue 17 is currently available on newsstands. Now that we have a real image, and know the length, can you overlay some other common guns on it, like the Shield?